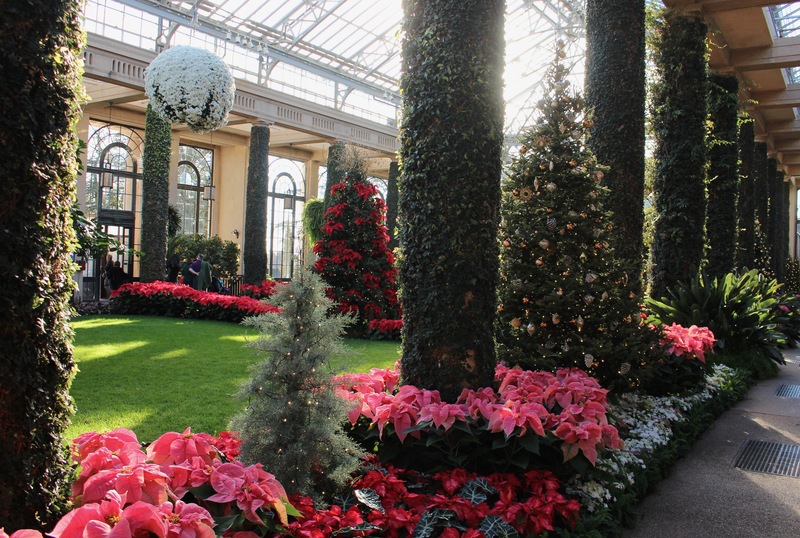 This entry was posted in early winter, garden tours, Uncategorized and tagged flowers, garden, Longwood christmas, longwood gardens, pennsylvania. Looks really lovely – especially with no people in your photos. I love that parterre effect they created. Definitely worth the drive and nice to get you into the holiday mood. Although it is now Advent and there are lights up all around our village I just didn’t feel Christmassy, but after placing a few candles around the house and making a table decoration with some nice scented sprigs of silver fir from the garden, I found my mood had changed, and today I am baking Christmas cookies! Hope you can enjoy the run-up to Christmas Frank! Enjoy the cookie baking, I can almost smell them! I almost mentioned your visit in this post, but didn’t want to put the pressure on. Now that you bring it up though I hope you find a few minutes to put one together since I’d love to see your impressions and hear your thoughts! I posted at last! And linked to your blog. 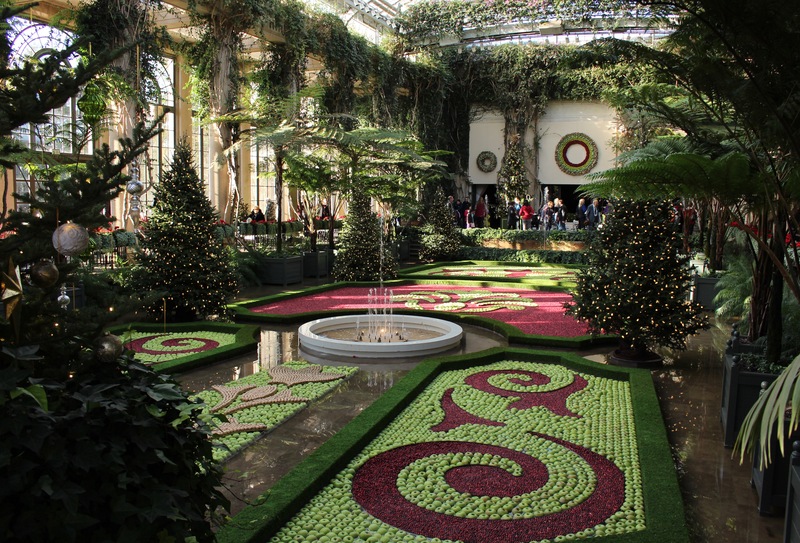 Thanks for reminding me of a wonderful visit to Longwood Gardens over the Christmas holidays some years ago with dear, dear friends. We met there, stayed in quaint B&B, and enjoyed our visit. Wonderful memories. Have a blessed Christmas. Now that’s the way to do it. This time of year can be so hectic and fast moving it really pays to slow down and take the time to make it special. A blessed Christmas to to you and yours. I am so glad you posted these beautiful photos. I live too far away for a visit there. I have enjoyed it vicariously. Thanks Lisa. It’s quite a haul and sometimes I dread thinking about the ride down, but once there I always enjoy the visit…. except maybe the time when the kids were extra cranky… that gets old fast. Those poinsettias . . . I could enjoy the other colors at a time other than Christmas. They have a tropical feel and why not put them on the porch in July–assuming they can get them to color up then. I guess you could convince me some are a Christmasy gold, but you’re right that the rest are more tropical. I wouldn’t mind a small poinsettia tree on the porch, covered in all kinds of sunset colors for August. It is a tropical plant after all, and as long as you’re breeding all kinds of new colors might as well get an August bloom onto the plant as well! Wow, they put on a spectacular display, don’t they? Love the apple/cranberry patterns, how do they do that? Are there forms? The do go over the top don’t they? I did see forms which keep the fruits in place. They’re floating in an inch or so of water so without the forms the cranberries would be everywhere! Hmm, gold Poinsettias? I decided to skip the usual holiday plants and bought a Boston fern. Longwood looks like it was worth the trip. I love Boston ferns but just don’t have a spot for one. My aunt used to have a big one with fronds which hung nearly to the ground and I thought it was quite an amazing thing. But then again she was someone who also grew excellent African violets so there was always something interesting on the windowsill. I have a small tree fern under the growlights this winter. I think it’s fascinating. Thanks Anne, and thanks for the comment. I enjoyed visiting your blog today and spending some time enjoying your photography and writing! 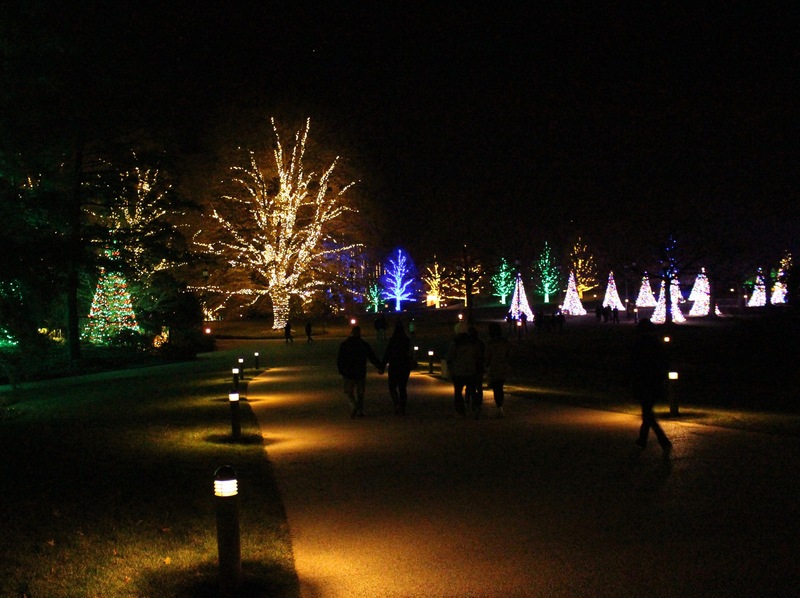 I really enjoy these posts about Longwood and Christmas, it puts me in the right mood for the holidays too. When I first saw the apples and cranberries I thought they were tiles and not very nice but when you explained what I was seeing I enjoyed them very much more. As to the Poinsettias, I don’t mind all the different colours, maybe because they aren’t really flowers but adapted leaves; actually I quite like the autumn coloured ones. I haven’t seen them in Italy yet. I see what you mean, it’s easy to see the apples and cranberries as just tiles or some other colored decoration on the floor, and that would be much less interesting. I don’t remember seeing any artificial decorations while there, it was all real foliage and natural items, which I thought was nice. I liked seeing the poinsettias all together, but individually I’m not even sure which I would settle on. I tend to always resort to red! Someday the other colors may show up here and I’ll have a decision on my hands. What a great visit. 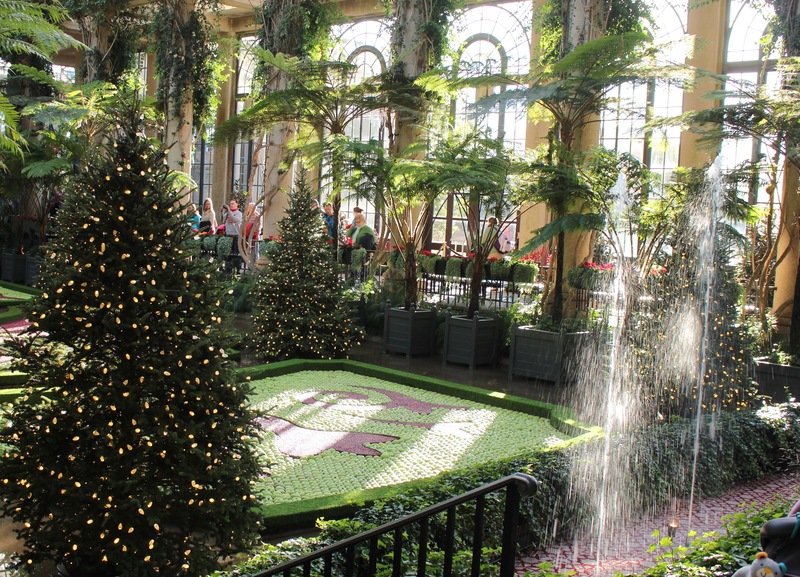 We’ve visited the conservatory only once in late March. So when you say your kids ditched you, do you mean they didn’t come or just wandered off on their own? 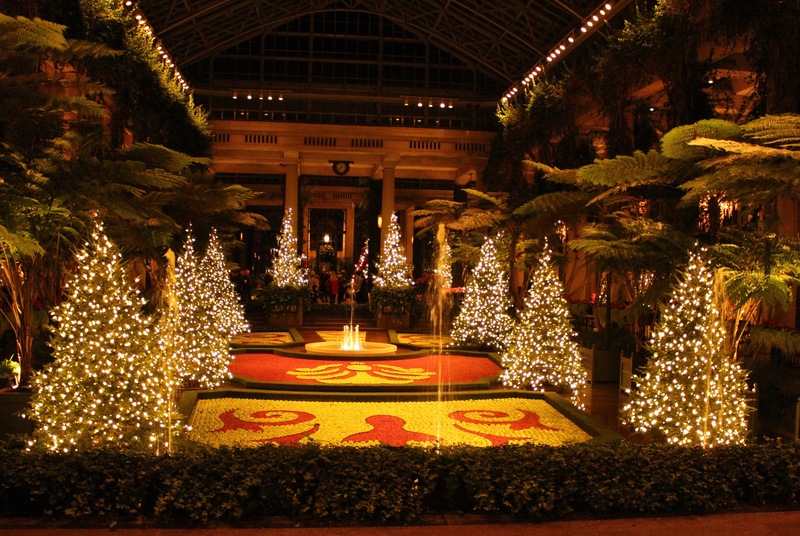 Love the golden poinsettias. 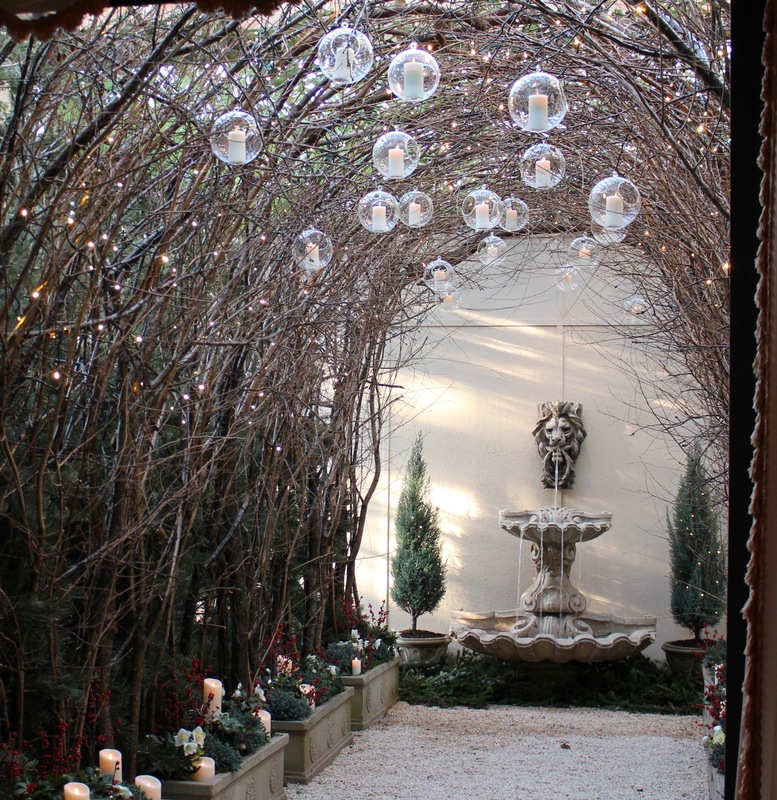 Ooh, I loved the floating apples joined by cranberries and the candle-filled glass bubbles in the twig arch! Looks like a perfect antidote for the cold winter blues. Aren’t the glass bubbles cool? I’ve been searching for a cheap imitation, but no luck yet… and I know I’d be disappointed in anything less, so the search continues! It’s so cool in person. When I was in LI, Planting Fields would be my go-to garden for a dose of greenhouse air during the winter. I think I’ve asked before but have you ever been?